Kentucky Fried Chicken (KFC) has chosen agency Inspired Thinking Group to host its Annual Regional Managers Conference in early 2017, at the Scottish Exhibition and Conference Centre (SECC). More than 1000 managers from all 850 of KFC’s UK restaurants will gather at the Glasgow-based venue. Meanwhile, the SECC has also announced it will also host the Arbonne Advantage Conference in autumn 2017, where around 2,500 delegates will gather over two days. Speaking about the KFC conference, Claire Edwards, event director for Inspired Thinking Group, said: "I loved the SECC and Glasgow after taking part in a familiarisation trip in 2015, so had no hesitation in proposing the venue for the 2017 event. The space works really well for the many different parts of the conference and the city as a whole is such a friendly and hospitable place. Another big selling point was the food at the venue, which is delicious and always such an important part of any event. We are very much looking forward to next year’s conference, as we know we will be in safe hands with the fabulous team at the SECC." Director of conferences at the SECC, Kathleen Warden, added: "We are delighted to confirm these two prestigious corporate events for 2017. 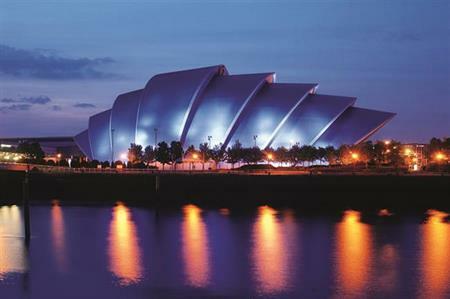 The SECC and the city of Glasgow offer a fantastic business case for corporate meetings and a destination backdrop for inspiring delegates at annual meetings and we are looking forward immensely to hosting both events. Our corporate business goes from strength to strength and we are continually looking to find ways of helping to provide delegates with memorable experiences." The SECC has recently strengthened its corporate team with the appointment of Glenda Carlyle in the newly created role of senior sales manager, corporate sales. In 2015-2016 the SECC hosted a total of 55 events, including 25 from the corporate sector.